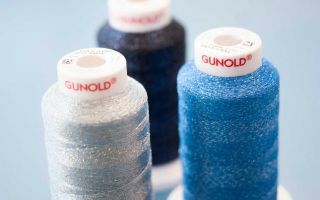 Any uncertainty about the state of the global apparel fabrics and accessories industry in the coming year was widely dispelled at last Intertextile Shanghai Apparel Fabrics – Spring Edition, with many exhibitors reporting strong increases in the number of contacts and enquiries they received compared to last year. While the visitor number was up slightly on last year – 71,450 from 103 countries and regions attended (2016: 71,163 from 100 countries and regions) – what was clearly evident in the feedback from exhibitors was that the quality of buyers sourcing at the fair continues to increase. 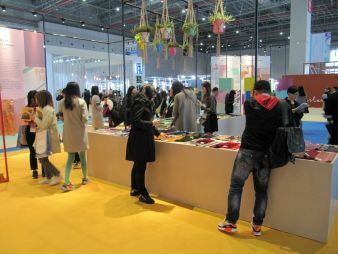 Many exhibitors also commented that they received a healthy spread of buyers to their booths, both from China as well as from key markets in Asia and Europe, and that a satisfying proportion of these buyers were new potential customers. Reflecting the fact that Intertextile Shanghai’s reputation as the industry’s leading event to conduct business each March & October has been steadily increasing over recent years, the exhibitor number grew by 5.9% this edition to 3,341 from 26 countries and regions (2016: 3,155 from 27 countries and regions). New exhibitor countries included Denmark, Malaysia and Poland. The top 10 visitor countries and regions, excluding Mainland China, were Hong Kong, Korea, Japan, the US, Taiwan, India, Russia, Turkey, Indonesia and the UK. 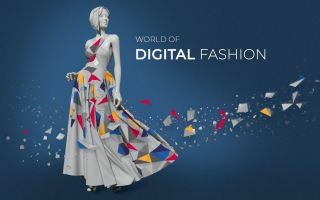 As a barometer for the global market, the positive signs from exhibitors at this March’s Intertextile Shanghai bode well for the industry this year. Once again, it was not just the quantity of buyers pleasing exhibitors, but the quality also. 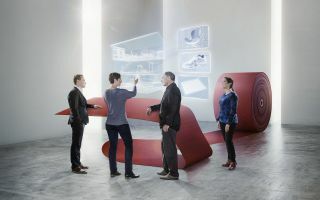 Japanese company Moririn was equally satisfied with their participation, particularly as they could meet existing as well as potential customers. 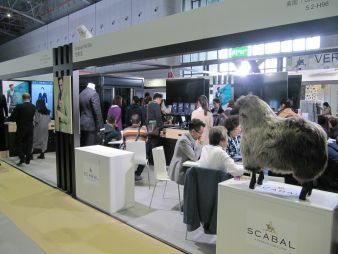 “Many buyers, both existing and new clients came to our booth. Combining the first two days, we recorded more than 130 prospective buyers from around the world. In the past, our company has met many new clients from the fair, and this year will be no exception,” Ms Li Jiang, Representative from the Fabric Materials Department of Shanghai Moririn Textile said. Taiwan’s Paltex also noted results from the fair were better this year, while also receiving a substantial amount of new contacts. “We’ve received so many genuine enquiries from our target buyers, and we think many of them will turn into further cooperation. Around 90% of these are new buyers from China,” Mr Steven Wu explained. This sentiment shared by Paltex regarding the continued demand in China for high-end overseas brands was echoed by a number of other exhibitors, including a first-time participant from Peru, Creditex. “In the first two days of the fair we collected nearly 60 contacts. However, we are more interested in the quality of the buyers than the quantity, and I’m confident that we will be able to build business relationships with the quality contacts that we’ve made here. People who came to our booth were looking specifically for our Pima cotton-woven fabrics, and I think in the foreseeable future there will always be demand in China for quality fabrics such as these,” Mr Renzo Koch Mazure, Commercial Manager said.